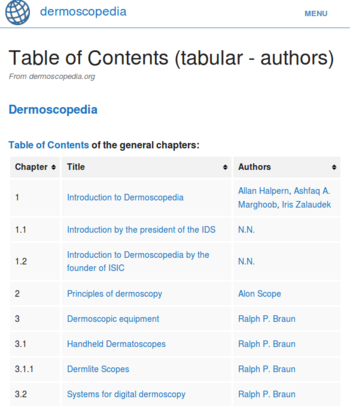 dermoscopediaDermoscopedia is the name of this website and is providing state of knowledge information concerning dermoscopy - a non invasive diagnostic method. 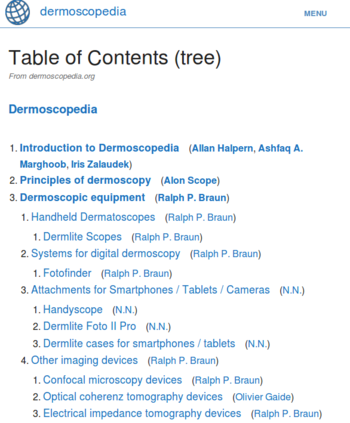 offers three different Tables of Contents for you to start browsing the websites contents. Just click on one of the preview imagesA representation of a person, animal or thing, photographed, painted or otherwise made visible. 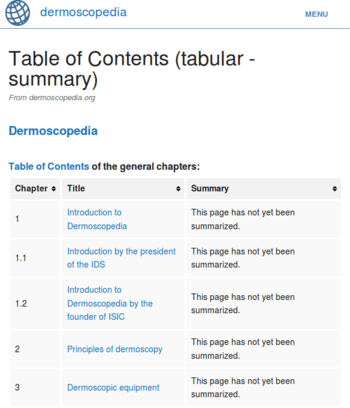 to access the respective view or return to main page.